Just Listed :: Darling Condo in Brookhaven's Carlyle Woods! This is it! 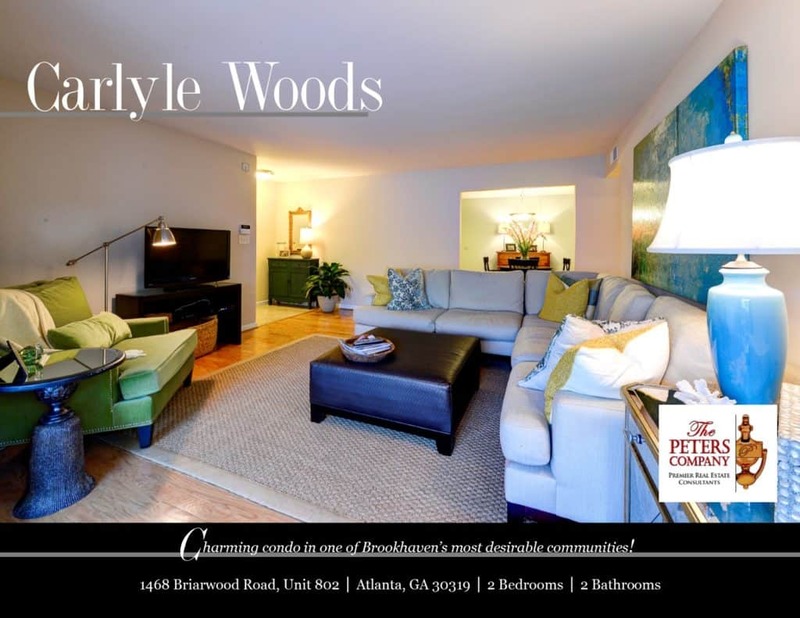 Welcome home to this adorable two bedroom, two bathroom condominium home in Brookhaven’s private and gated Carlyle Woods. Carlyle Woods is known for delivering quality and value in one of the most desirable areas inside the perimeter. The floor plan, custom features, and charming character of this property will never go out of style. The close proximity to Peachtree Road, I-85, and GA400 make it convenient to and from any direction. Being in the booming city of Brookhaven means you can enjoy nearby hot spots like Town Brookhaven and Village Place Brookhaven! Kitchen features stainless steel appliances, granite counters, and breakfast bar. Spacious living room opens to a sunroom that would make a great home office. Master suite is complete with a walk-in closet and bathroom with large granite vanity. Secondary bedroom is well-sized and bright. Plenty of storage space throughout! Wonderful community amenities include a pool, gym facilities, pet walk, and gated access.